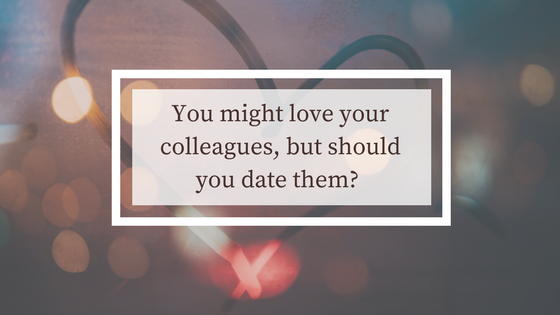 You might love your colleagues, but should you date them? Cupid's arrow means love for some, but when it happens in the work place, you have to be very careful to make sure your honeymoon dreams don't end up as career suicide. Increasing numbers of global firms are creating dating policies to set out the rules for how employees should behave if they get involved with a colleague. As we have seen with so many areas – from office layouts to employment perks - where Silicon Valley giants such as Facebook and Google lead, non-tech companies may follow. Sexual harassment is the biggest issue for an employer in this regard, and companies are increasingly likely to escalate complaints from any party who feels they are receiving unwanted attention. Even if the attention is wanted, it's up to employers to create a working environment where employees can feel safe. Regardless of this, or perhaps because of it, office romances are declining. According to a 2017 survey by CareerBuilder, 36% of US employees say they have dated a coworker – a 5% drop from 2016, putting office romances at a 10 year low. In Jersey, the nature of how we work and live – in an interconnected environment where so many people know each other – makes office romances even trickier. How can you be discreet, or even keep the early stages of a romance a secret when gossip spreads more easily than Jersey butter, and the person you might have a crush on is probably your neighbour's sister's friend's son or daughter? Love in the work place isn't impossible – but making it work may involve looking for work elsewhere. The fall out of falling out can have serious career implications, so if you're embarking on an office romance, best brush up your CV and consider what other options are out there should things go wrong. 1. Check your company policies when you join. Are you allowed to date a superior? Do you have to report it? Best find out before you even go there. 2. Be aware that comments and advances could be construed as sexual harassment. 3. Be discreet. Hard but essential if you don't want your first kiss to be on the front page of the JEP! 4. Be professional. You're paid to do a job, not flirt. Also, be respectful of other colleagues and be prepared that the team dynamic could change. 5. Consider other career options. Should things go wrong you might quickly find that it's not possible to work with a former partner.